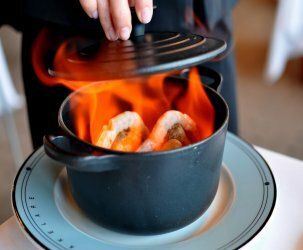 Smitty’s Grill is an expense account restaurant—be it one’s parent or one’s business. In my case, it was a bit of column A with a dash of column B. My mother travels from San Diego to Los Angeles in the name of work at least once a month. On one such trip, we met up for dinner in Pasadena. I suggested a sushi joint, but my mom was feeling uncharacteristically unadventurous, so we strolled along Lake Street to see if we could settle on a middle ground destination. 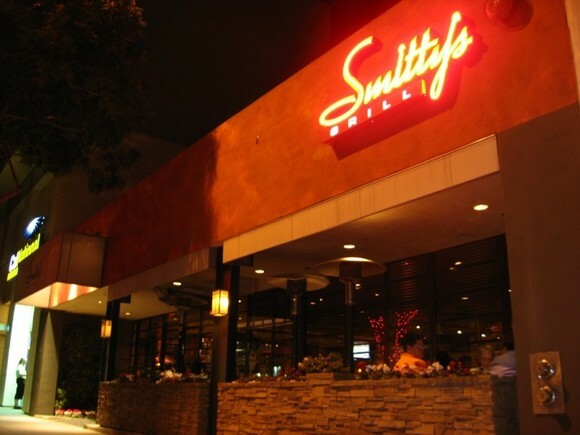 We ultimately chose Smitty’s Grill, a restaurant specializing in upscale and unoriginal American fare. 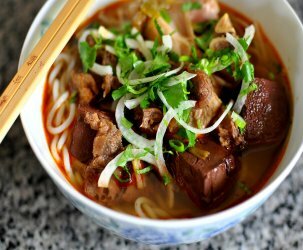 Although I would personally avoid this genre of restaurants, it truly is the perfect place for those with deep pockets seeking familiar flavors. Not too hungry, my mom ordered one of the evening’s appetizer specials for her entree, an Ahi Tuna Salad ($14.95). 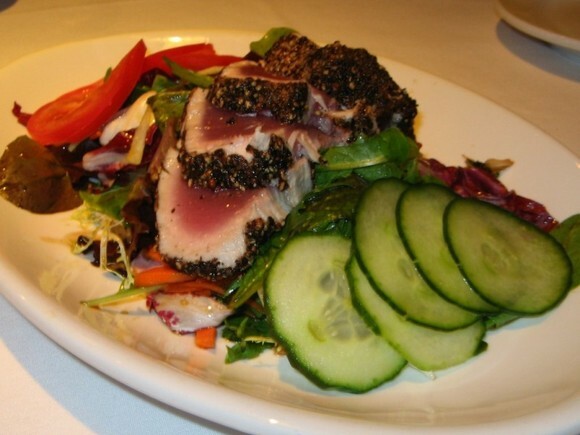 The dish consisted of seared pepper-crusted ahi steaks somewhat artfully arranged on a bed of mesclun and dressed with a soy balsamic vinaigrette. The salad was solid—all the components from fish to greens to dressing tasted fresh—but overall it was a yawn. The ubiquitous presence of seared tuna on restaurant menus across the United States of Arugula have caused the poor fish to lose its luster. The Astronomer and I split our entrees straight down the middle. 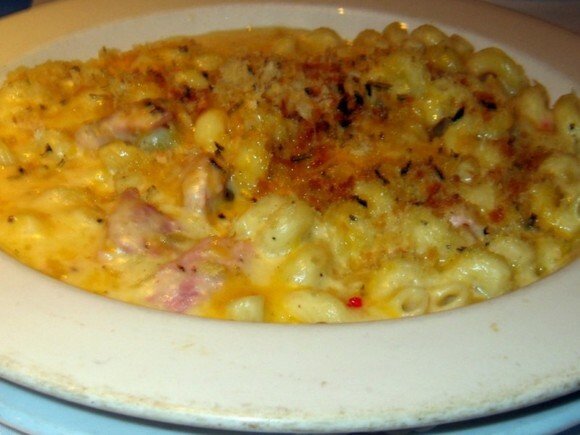 The Macaroni & Cheese with Ham ($13.95) was a guilty pleasure through and through. The scored and tubular corkscrews were coated in a thick and creamy cheese sauce with little slices of ham scattered throughout. The pasta made our entire table smile, but was far too rich for any one of us to down alone. Similar to the salad, the mac and cheese was well-executed, but lacked that special something to make it “pop.” Bacon, maybe? Bacon makes just about everything pop. The Filet Mignon Burger (13.95) was the highlight of the evening. 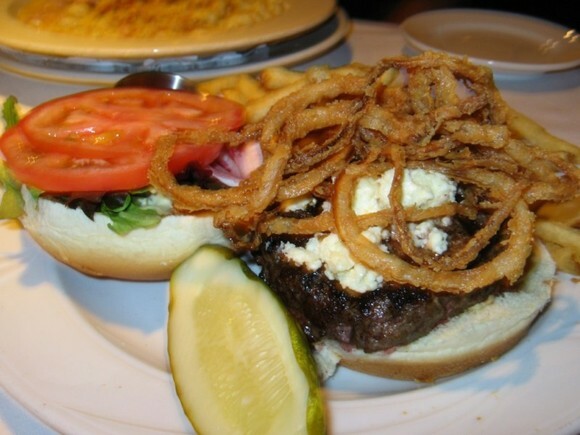 Prepared perfectly medium rare and topped with blue cheese crumbles and onion strings, the burger was satisfying in a way that only a good burger can be. The fries and onion strings on the side were also done very well. 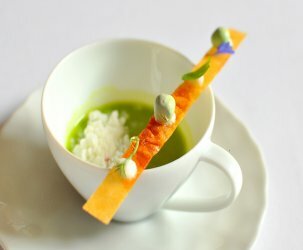 There is something to be said for restaurants like Smitty’s Grill that prepare solid, but not necessarily creative food. Although there is a time, place and audience for these types of establishments, I prefer to spend my dining dollars elsewhere. Anyhow… Thanks, Mom! Prior to meeting up with my mama for dinner, I went on a job interview in Hollywood where I snapped these pictures—just like a tourist. 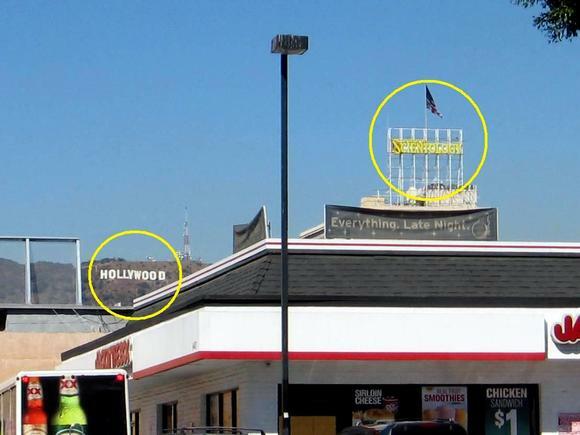 On the left, the famous Hollywood sign. On the right, the Scientology Celebrity Centre. In the forefront, Jack in the Box. In middle school, my friends and I used to eat two tacos for 99 cents at Jack in the Box when school let out early. Good times. 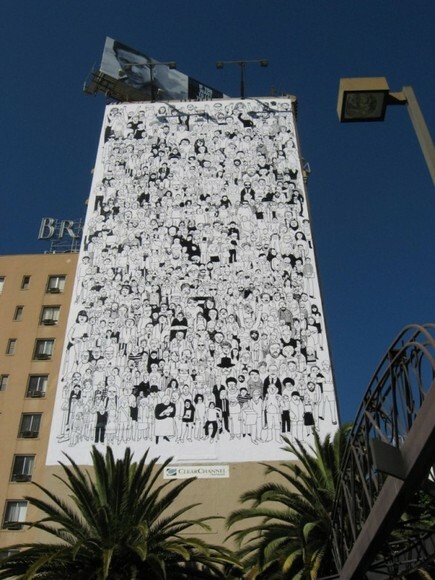 A sweet, sweet mural owned by Clear Channel. If you ever go there again, you should give their Iron Skillet Cornbread a try. It’s $7, and really delicious.